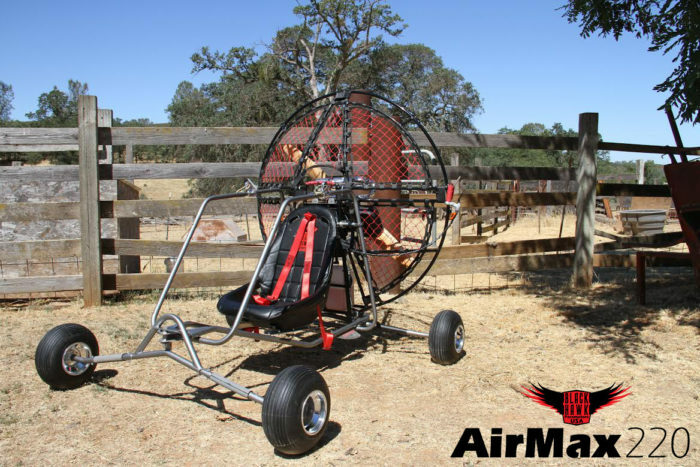 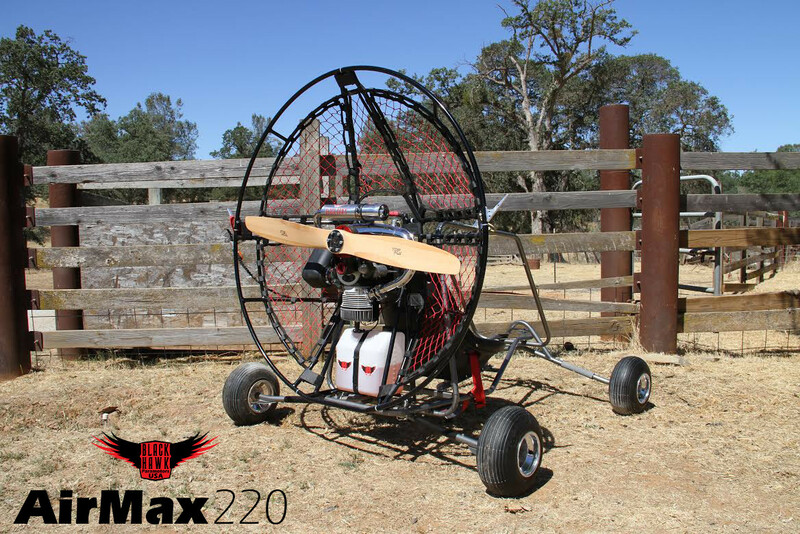 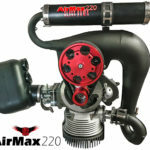 BlackHawk Paramotors USA is proud to introduce the NEW AirMax 220 Paramotor. 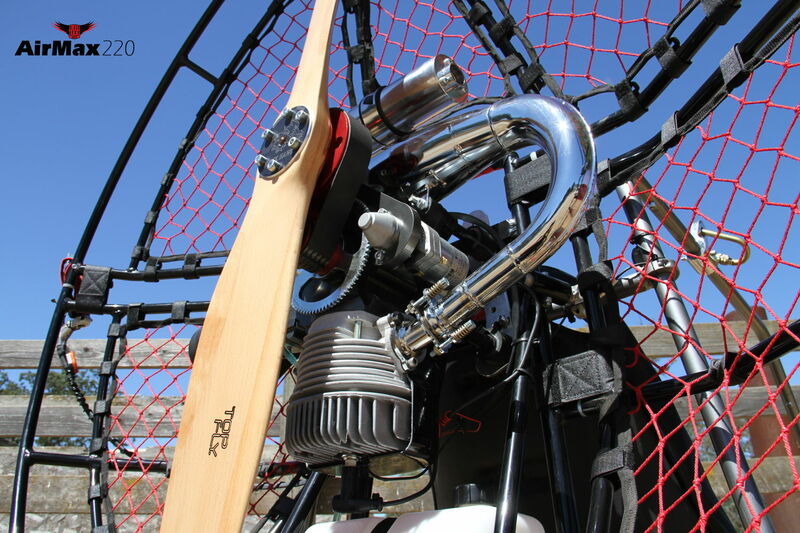 This extremely versatile powerhouse was designed as a crossover machine for pilots who want it all. 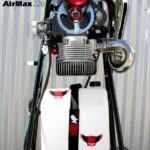 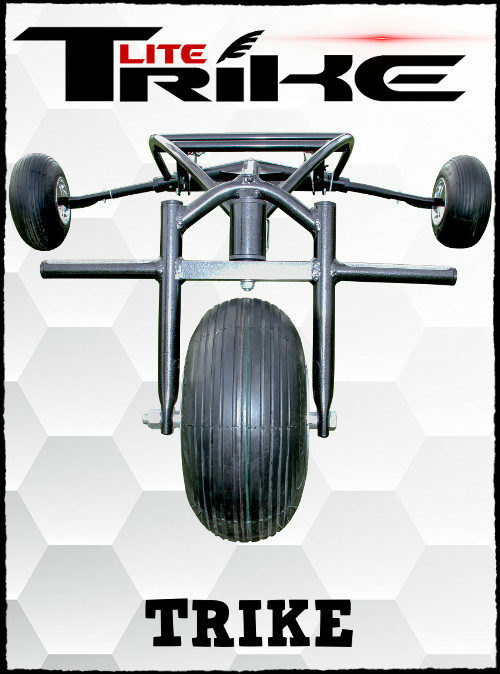 The AirMax 220 can go from foot-launch, to being mounted on a LowBoy II Quad or the LITE Trike in a matter of minutes. 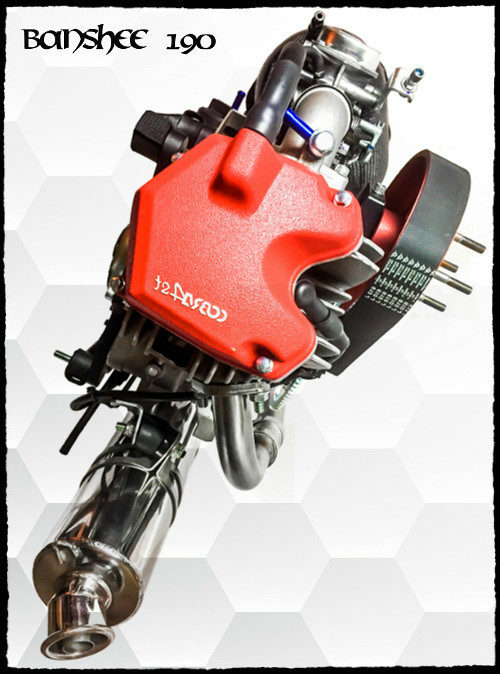 This motor has been one of our top-sellers for several years now. 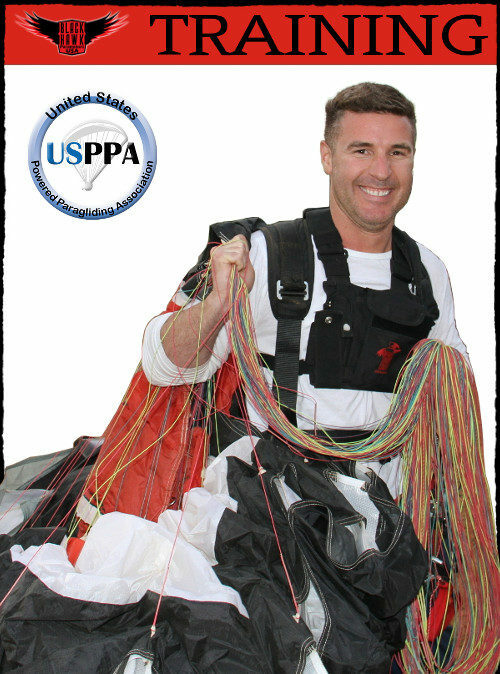 Welcome to your next great adventure! 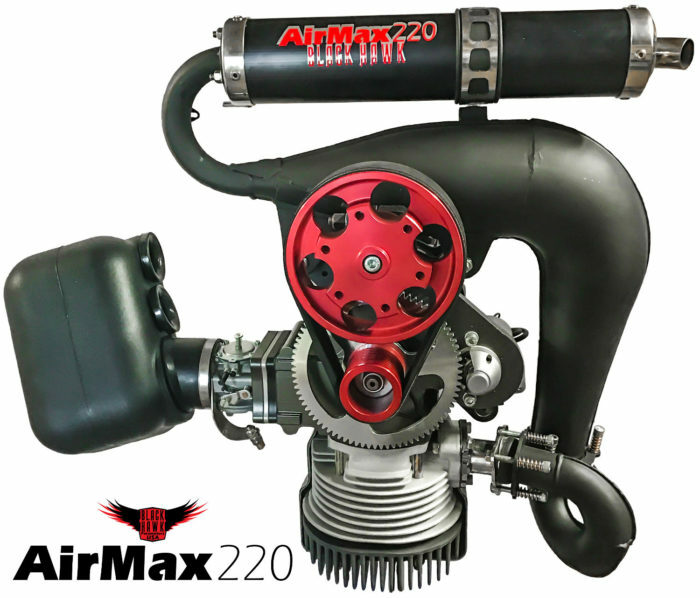 Want to Learn More About The AirMax 220? 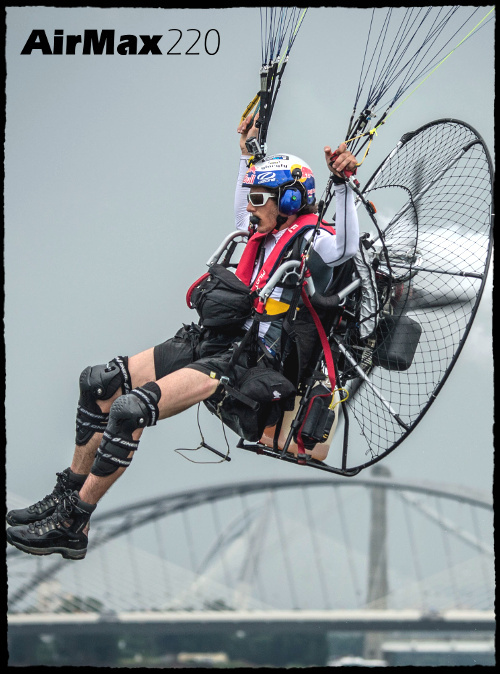 World Champion Pilot Pal Takats recently joined Team BlackHawk and took delivery of his motor of choice – The BlackHawk AirMax 220! 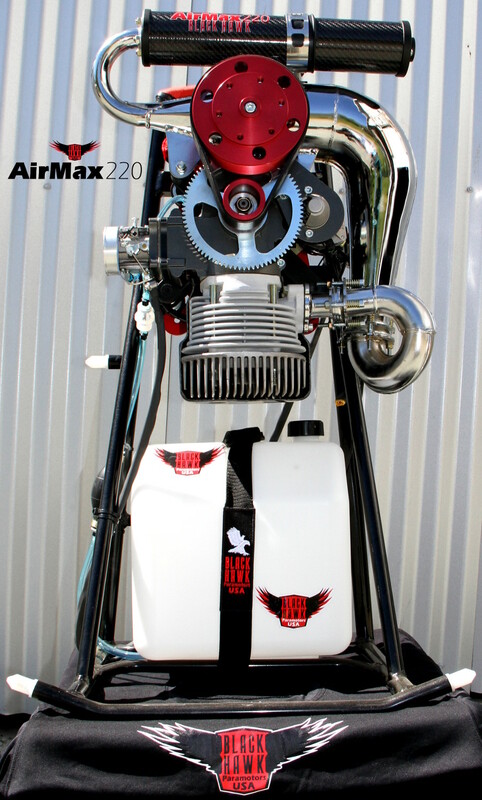 Pal Takats has been flying his AirMax for some time now and loves it for the same reasons our other Team Pilots do… High-performance, extreme power, and built to last! 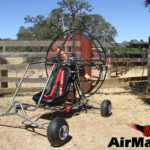 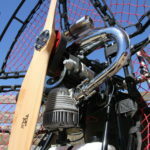 Many students who come to the BlackHawk ranch with the intention of learning quad flight, later decide they want to venture into foot-launch. 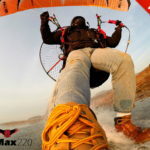 After mastering glider control and some quad flights, it becomes easy to transition into being a foot-launch pilot. 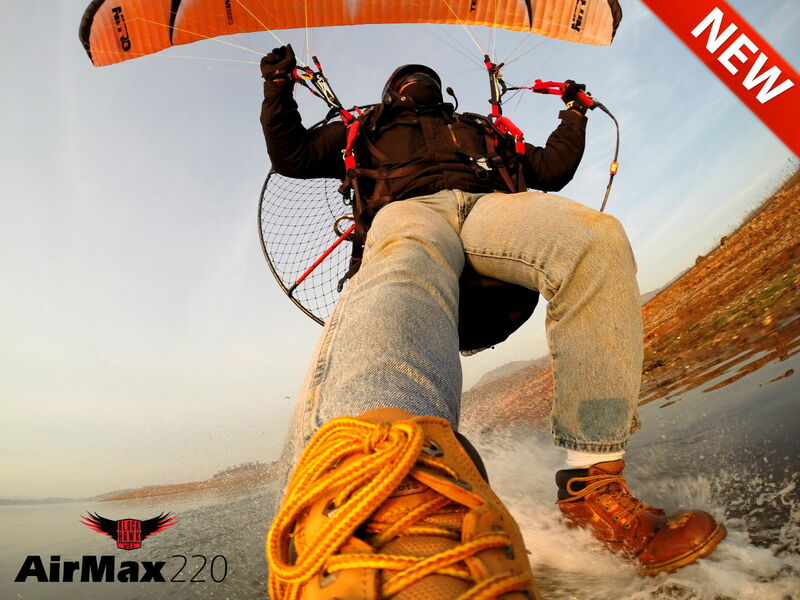 The AirMax 220 suits the needs of many, and we are confident this top-seller will be around for many years to come.